Dr Alexander Keller studied Chemistry at the Technical University of Karlsruhe and Business Administration at the University of Hagen. He holds a Ph.D. in Technical Chemistry. After working for nearly 20 years in the global Chemicals Competence Centre of an international management consulting firm (the last six years as Partner/Senior Partner), Dr Keller joined Monitor Deloitte in September 2016, where he continues to focus exclusively on the chemical industry. His focus and experience are on strategic topics, in particular understanding speciality chemicals and petrochemicals market/competitive frameworks and developing effective growth/entry strategies. His client base predominantly comprises large and mid-sized European chemical companies, consulting for them globally. 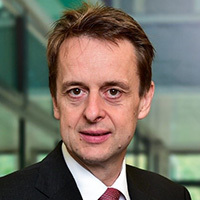 Furthermore, his work keeps abreast with the global structural changes in all dimensions within the framework of the chemical industry, including upcoming game changers, such as digitalisation and the circular economy, in order to formulate winning strategies for leading global chemical companies in different geographies. The scope of work also extends to various operational excellence programs, including process optimisation, asset footprint optimisation and comprehensive cost reduction initiatives in all business areas along the value chain. Digitalisation in the specialty chemicals industry – Opportunity or risk for performance and service-oriented businesses? Digitalisation is disrupting the chemical industry. Downstream businesses in particular face a number of significant challenges as B2B customer relationships are redefined. Dr Keller will assess whether digitalisation represents an opportunity for a step change, or a threat to the entire business model for businesses that pursue a performance and service-oriented strategy.